Cleanliness is a prime element of any successful business operation. This is even more true when you’re running a food processing or bottling facility. 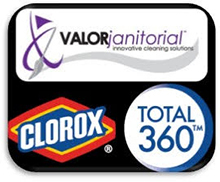 Valor Janitorial offers you AIB compliant cleaning for your facility. If you need help keeping your 24/7 high traffic facility clean, we can help. We clean many fortune 100 company facilities and can keep you from getting behind on important cleaning tasks which could have serious consequences. A reputation for running a contaminated food processing facility can shut an entire company down. Not only will consumers and retailers turn away from your products, health inspectors could find health code violations and give your facility low health inspection report scores. In worst case scenarios, your facility could be closed until health violations are resolved, or contaminated food from a dirty facility could cause consumer distrust, dooming your enterprise and possibly expose you to legal liabilities. Don’t let nightmare scenarios stemming from poor cleaning practices limit your commercial success potential. Turn to Valor Janitorial for quick, effective and safe bottling and food facility cleaning services. We have extensive experience in doing cleanup and maintenance operations for commercial clients, whether they’re packing snacks and meat or putting beverages into cans and bottles. Our team (of trustworthy cleaning experts) applies the latest techniques using state of the art equipment to make sure contaminants never have a chance to get in contact with your facility’s products or production space. We take pride in providing you the most advanced and state-of-the-art commercial cleaning services in North Texas. Please call our friendly and knowledgeable staff for a free estimate. Or, if you like, contact us with any of our easy-to-use website contact forms.